I am installing recessed lights and want to run that circuit to this switch location and replace the switch with a dimmer to control the recessed lights. Turn off the power at the circuit breaker/fuse panel first! Then disconnect all the wires from the switch and connect them together with an appropriately sized twist-on wire connector, except for the ground, which simply terminates at the box. The red wire supplying current to the receptacle will now be an un-switched hot. What you need to do is create a parallel circuit. As always, turn off the circuit breaker for that switch before any changes! For the outlet to be a permanently on, non-switch circuit, you need to bypass the switch. As @JimmyFix-It has said, you need to tie the Red wire and the Black Wires (Live) together. That Red wire goes to the Outlets. The White wire provides the Neutral return from the outlet. For the recessed lights you are installing, you will need to connect the Black Wires (Live) to the Switch, and run a new wire (In most home electrical code it should be Red) to the ceiling for the new recessed lights. 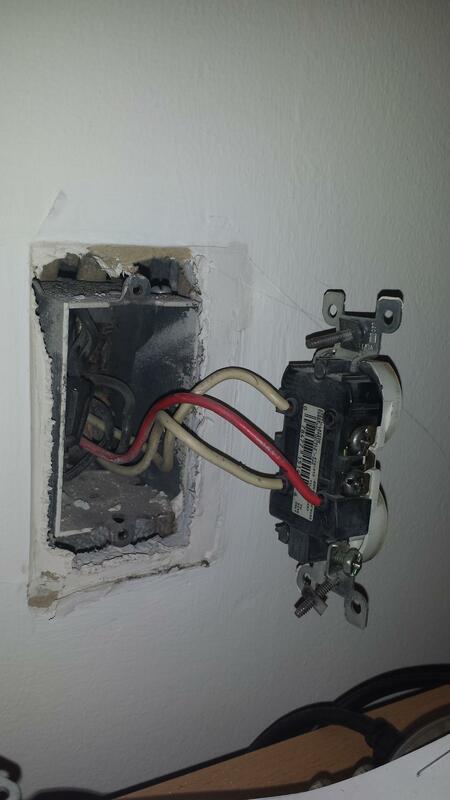 The return Neutral wire from the lights will need to be tied to the existing White wires in the Switch box. Appropriately sized Wire Nuts/Twist Caps should be used. The other answer will work but this is easier and the right way. 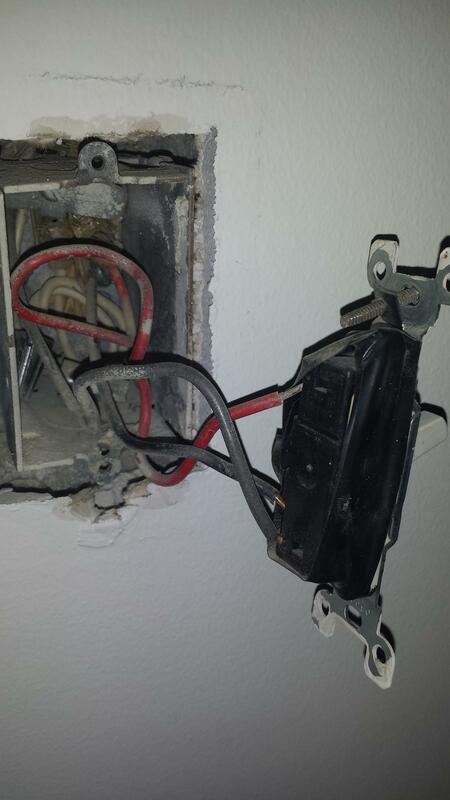 In your outlet box there is 2 black wires in wire nut, this is your constant hot going to other outlets. Remove red wire from outlet Remove wire nut from black wires and connect to outlet were red wire was and other black wire above it. Red wire going to switch is not needed now. Cap at both ends or snip wire on both ends. Not the answer you're looking for? Browse other questions tagged switch rewire or ask your own question. 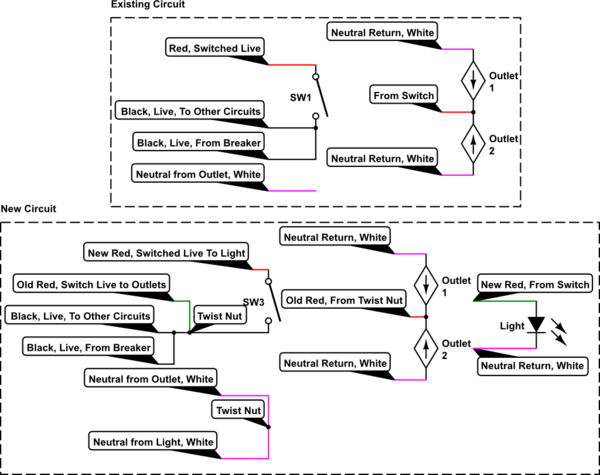 How can I rewire two separate light switches on different circuits to one? How to reset the breaker on this smart dimmer light switch (switched receptacle)?